E.B.A. 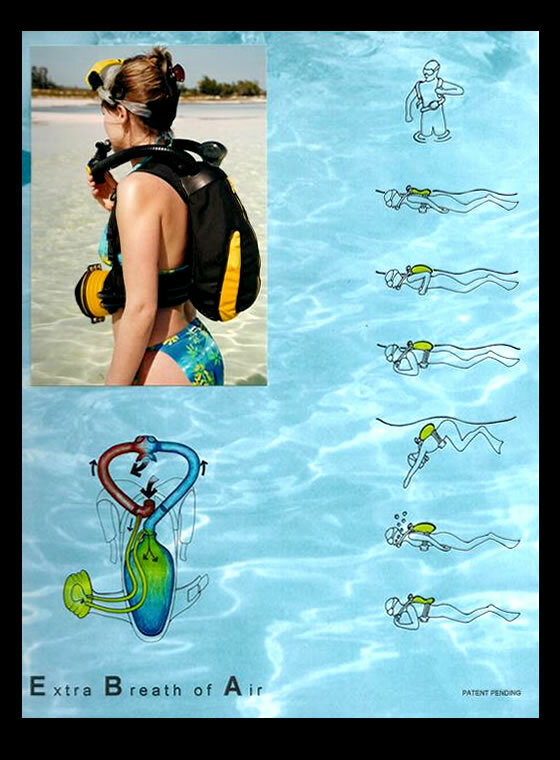 "extra breath of air"
This underwater breathing apparatus was designed to extend ones ability to stay submerged without the use and necessary training associated with scuba diving. The idea came from the sport of snorkeling or free diving and replaces the need for a snorkel. It works efficiently up to one atmosphere of pressure or 33' of depth. While breathing surface air like snorkeling, one can inflate a bladder that can later be used while submerged to double their time underwater.